Karl Mayer is aiming to extend its contact in the Chinese technical textiles market when it takes part in a series of VDMA organised symposia across China in March. The textile machinery section of the German Textile Machinery and Equipment Association (VDMA) will present three symposia at different locations in China between 5 and 9 March 2012 under the heading German Technology for the Chinese Technical Textile Industry - Conference & Exhibition. One compact symposium will be held at a suitable conference hotel at each location. The reports will include presentations of technologies and methods for the production of technical textiles and nonwoven products. They will be presented in parallel in two rooms. 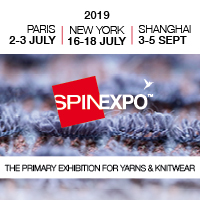 The reports will relate to the whole textile production chain and will be presented by textile specialists from leading manufacturers such as Lenzing, Monforts, Menzel and Dornier. Karl Mayer will also present a paper. Hagen Lotzmann, the product developer at Karl Mayer Malimo, will introduce textile machines based on warp-knitting technology for the production of technical textiles and will concentrate on the production of substrates for coating and composites. In addition, Lotzmann, who is from Chemnitz will give details of the Karl Mayer warp preparation technology for the production of technical yarns.